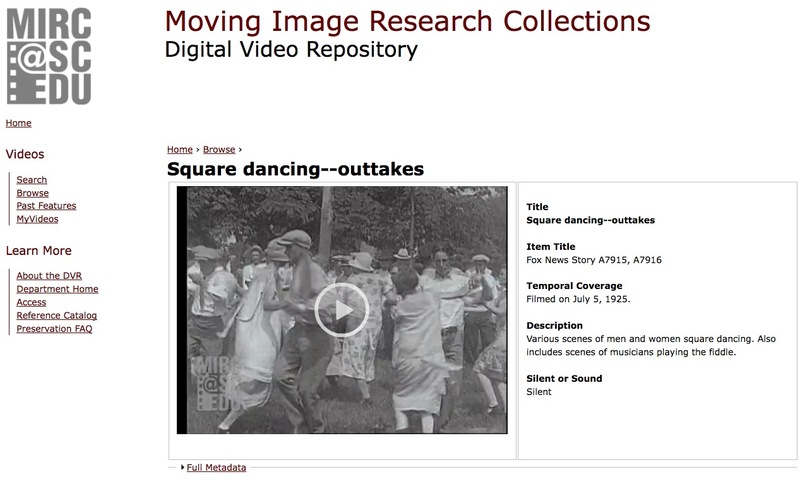 This silent movie footage, created by Fox News, shows dancers and fiddlers recorded in an outdoor setting in Quitman [sic], Virginia. We cannot identify this location since it does not show up on current maps. 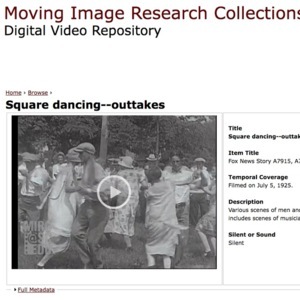 Fox News, “Virginia square dance, 1925, silent movie,” Square Dance History Project, accessed April 24, 2019, http://squaredancehistory.org/items/show/1245.